3/5/13 - Sequestration = Automatic, across the board spending cuts - sounds like something big Government needs! We have all heard the tragic news from Jay Carney, Janet Napolitano, Maxine Waters, and President Obama himself. 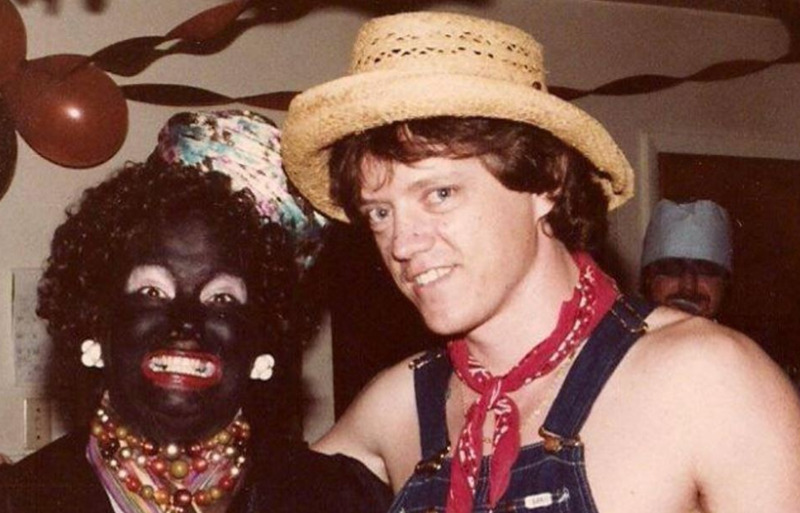 If you are not familiar with these Democrat Politicians then this article probably won't make much sense to you but please do continue, you may learn something. The premise is "The Republicans forced us in to sequestration, (Big Lie - Obama originally wanted sequestration) and this is going to have a major impact on average citizens." Elizabeth Vargas on Wednesday hyped "the grim countdown to the massive spending cuts that will soon kick in." 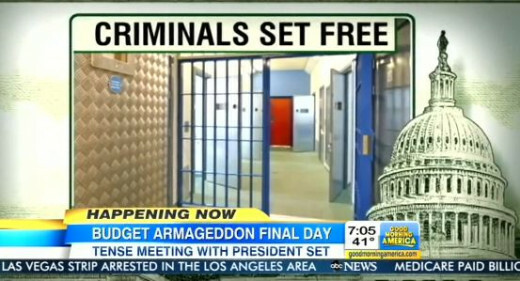 ABC headline read "Sequester Armageddon will lead to Jobs vaporizing and Criminals walking free." The black cloud is now draping America. The stage has been set. Jay Carney has been telling reporters at the White House that sequestration will lead to loss of teacher jobs, loss of civilian services, and that average middle class Americans will feel these cuts. He cries about the kid that doesn't get the Head Start slot, the families living at the Border facing the cuts to Border Patrol, and Air Traffic Controllers whose hours have been cut. Come on Jay get real. Janet Napolitano is probably the biggest offender when it comes to pushing Obama's agenda's. BEFORE sequestration was implemented Janet oversees whomever gave the orders for 5000 illegal immigrants to be released from their cells under the guise of "we are preparing to work with less due to the impending sequester." So let the criminals out of jail - who cares about the possible crimes they will commit and the victims effected by those crimes - as long as Janet is helping Obama make the Republicans look bad. Since day one we have heard Janet Napolitano stating that major airport slowdowns are already being felt by airline passengers throughout the country. When put on the spot she weaseled her way through the questions with non-committed answers such as "I want to say it's airports like Los Angeles International and O'Hare in Chicago." When reporters checked in to these claims they found out that no delays were occurring and flights were on schedule. There are predicted delays in Chicago today but they are not at all related to the Sequester - it is due to the huge winter storm forecast for this evening. Can she make a storm into a sequestration disaster? Then we have Maxine Waters - Democrat from California - she claimed that the Sequestration could lead to the loss of 170 million American jobs - well hate to tell you Ms. Waters but there are not 170 million folks working in America let alone that many in Government jobs that will be effected by government spending cuts. The Five on Fox reported this afternoon that the "White House Tour and Gift Shop" will be closed during spring break. They called the 24 hour tour hot line - the message for callers states that White House tours will be suspended indefinitely due to White House budgeting cuts brought about by the Sequestration. These are SELF Guided tours - this is a major "in your face" use of the sequester to make the public think the Republicans are at fault and now we can't tour the white house on our spring break. This is where Passive Aggressive behaviors are shining bright for all to see. Give me a break! The Cherry on Top came today - Michelle Malkins' headline reads "Obama administration tells feds to make sure the sequestration hurts as much as advertised." The article tells about an e-mails sent by Charles Brown, an official with the Animal and Plant Health Inspection Service office in Raleigh North Carolina. Mr. Brown was reportedly discouraged by the reply he received to his e-mail asking if there was any latitude in how they spread the sequester cuts across the region to lessen the impact on fish inspections. Mr Brown states the reply he got from officials in Washington was "however you manage the cuts you need to make sure you are not contradicting what we said the sequestration impact would be." In other words - Make it hurt because that is the message we have been putting out there - sequestration is the republicans fault, we said it was gonna hurt, and now it is your job to make sure that is the reality. The sequester amounts to $85 Billion in spending cuts from a budget of Trillions. The news reports state that this is about a 2.3% cut. We have all had our taxes increased by just about that same amount as of January 1, 2013 and what did we do - we made adjustments in our spending to make up for it. If Democrat leaders cannot manage a 2.3% spending cut from their budgets without the average middle class citizen feeling it then they do not have our best interests in mind. There is so much "Pork" that they could cut without anyone noticing - lets call them to order and tell them that is what we expect from our elected officials. Enough of the "Boy who called Wolfe" already. Is Obama using the Sequestration to make the Republicans Look Bad? No he wouldn't do that come on. No pain no gain... still, I have learned a great deal about this issue from your hub. Nearly four months after suquestration I am feeling that pain and I don't like it. I would love to read more about this. A hub about how it has affected the people would be wonderful. Angela thank you so much for the kind words. We all have a long fight ahead but I'm not ready to give up on this great country of ours. All good points ib radmasters - I wish Americans would wake up and see what is really going on in this country. This sequestration is nothing more than Extortion, it has to be deemed UnConstitutional and Criminal. What is the difference between the old time gangsters that would tell a business that they should use their protection services because bad things could happen. Your business might be robbed, or even blown up. But if you pay us then you will be safe. Compared to the statement that spending cuts will jeopardize your living but you can stop that from happening by letting the government just keep spending. I blame the people that reelected a do nothing good for the US back into office. They all said that Romney didn't have a plan, but now we know that the Obama plan was what we see today. The real question that should be asked of the president and his demmies is how they would use the $85,000,000,000 if they didn't have to make cuts. I mean specifically and absolutely where would that money go and how would the country benefit from it? We have to educate the young and the ignorant Barefootfae. Don't stop spreading the word. I have been saying all this stuff in the forums and the denial is astounding.